A trip to Writing on Stone Provincial Park in Southern Alberta gives you a chance to view the Hoodoos and the etchings on these rocks. Fascinating columns of rocks known as the Hoodoos have held their own through many different weather systems in Writing on Stone Provincial Park in Southern Alberta, Canada. Along the Milk River in this park you can wander through the Hoodoos Interpretative Trail to view this massive rock formations. 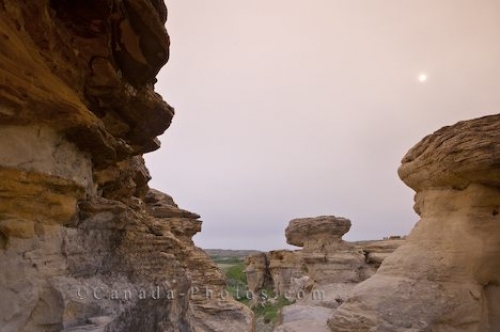 Picture of some of the Hoodoos in Writing on Stone Provincial Park, Southern Alberta that line the banks of the Milk River.